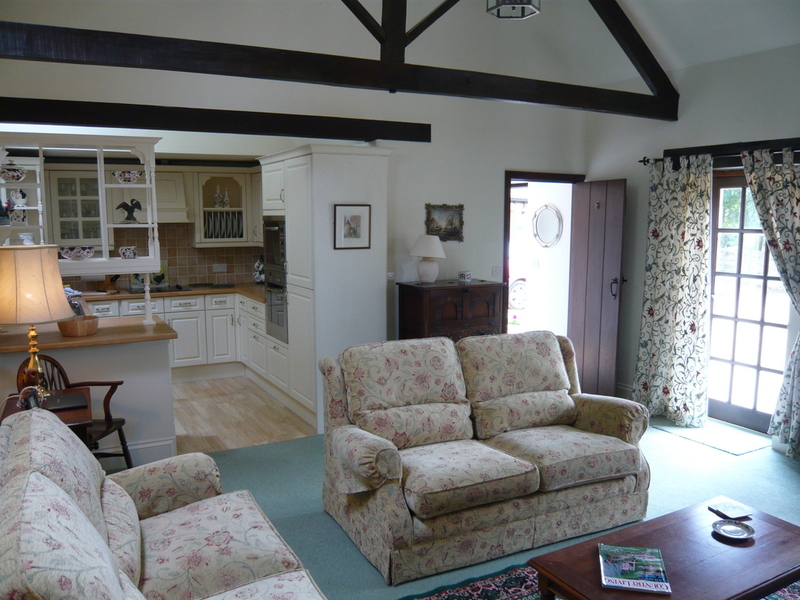 The Stable has a large sitting room with beamed ceilings and an open fire – well furnished with sofas, TV, dining table etc. The adjoining kitchen is very well-equipped, with fridge, freezer, ceramic hob, electric oven, microwave & dishwasher. Both bedrooms have a double bed & ensuite shower room. One includes a wet floor shower, to assist disabled visitors or those with limited mobility. All rooms have good wheelchair access through the groundfloor bedrooms. For more information please check our accessibility statement. The Stable has no steps to improve disabled access and, as with the other cottages, parking right outside so ideal for those with limited mobility. All hot water, heating and electricity are included in the price. All towels and linen provided. No smoking in the cottages please.